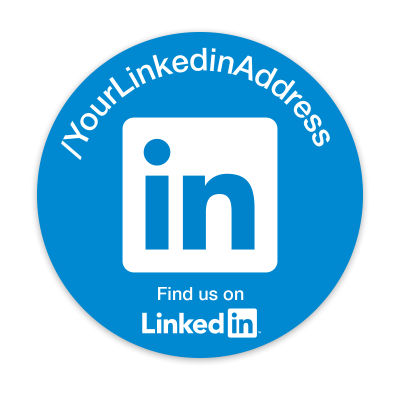 These custom Linkedin stickers will help you stay in touch and up-to-date with industry news and developments. Create a strong social network and your business will have the media presence that every successful company needs. You'll be able to display your Linkedin username everywhere your stickers go.